A suspect who allegedly assaulted a San Antonio, Texas teen for wearing one of President Donald Trump's Make America Great Again hats was arrested and charged with felony theft Thursday night. 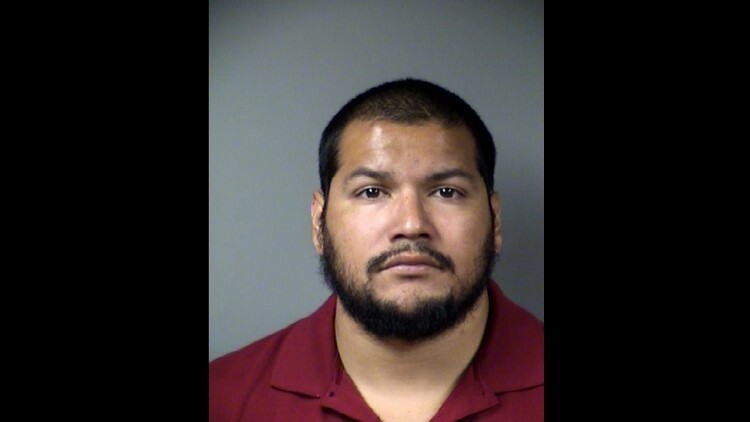 San Antonio police detectives nabbed Kino Jimenez, 30, without incident in nearby Universal City, Texas and booked him on a theft of person charge, according to the police department. Bail for Jimenez was set at $5,000, police said. The arrest came after a cell phone video surfaced on Twitter showing 16-year-old Hunter Richard being verbally abused and assaulted for wearing the bright red hat early Wednesday morning inside a San Antonio outlet of the popular Whataburger fast-food chain. The video, which was recorded by a friend of Richard and quickly went viral in online social media, shows a bearded man throwing a drink in the teen victim's face, and then yelling "you ain’t supporting s—t" as he left the eating establishment with the hat. The search for a suspect led San Antonio detectives from a robbery unit task force to Jimenez. If convicted, he faces a minimum sentence of 180 days in jail and a maximum sentence of two years. Whataburger said the episode was not seen by any of the San Antonio outlet's employees. "We were shocked to see this video and certainly don’t condone this type of customer behavior in our restaurants," the company said in a written statement that referred further questions to the police department. A mugshot of Kino Jimenez, 30, taken at the Bexar County Jail on July 5. A manager of a San Antonio-area bar called Rumble identified Jimenez as a former part-time employee. Management fired him shortly after seeing the video. Richard told WOAI that Jimenez pulled out some of his hair when the cap was ripped off. "I support my President and if you don’t, let’s have a conversation about it instead of ripping my hat off," Richard told the local news crew. Donald Trump Jr. tweeted Thursday night that he plans to get Richard a new MAGA hat, signed by "#potus!!!"